Shop for Awesome Records on Small Business Saturday – Win Gift Card! Shop for Awesome Records on Small Business Saturday – Win a TA Gift Card! 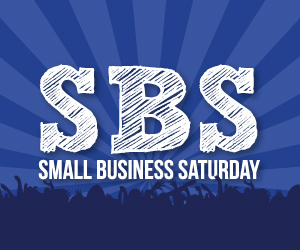 Everybody knows about Black Friday, but at Ticket Alternative we’re all about Small Business Saturday. It’s a day dedicated to supporting the small mom and pop shops that make each community special and unique. We’re fortunate to work with several small businesses around Atlanta. Many of our venues are small, locally-owned businesses like The Earl, Smith’s Olde Bar and Drunken Unicorn, but so are most of our outlets, like Criminal Records, Decatur CD, and CD Warehouse. Call us romantics, but indie record stores are very near and dear to our hearts. As if you didn’t need another excuse to go out and flip through stacks of CDs and records looking for buried treasure, we’re offering you the chance to win a Ticket Alternative gift card just for visiting Criminal Records, Decatur CD, or CD Warehouse. To enter to win a gift card just check in on Foursquare or Instagram and tag it #TAlovesSBS. We’ll pick 4 winners at random to win $25 gift cards. That’s not all, either! Criminal Records has partnered with American Express (a “founding member” and big promoter of #SmallBusinessSaturday and #shopsmall). If you pre-register your American Express card at smallbusinesssaturday.com and use it to make a purchase of $10 or more at Criminal Records or any participating store on Saturday, November 30 you’ll get a $10 credit on your next statement. Don’t have an AMEX? No problem! For that one day only Criminal Records is sweetening the deal by offering a $10 gift card to any customer paying with cash for a purchase of $10 or more. Check with Criminal Records for all of the details.